Do you know if you have been seriously injured? If you think not, you may be surprised to know we think you are! Injuries are often far more serious than you think. For instance, a small scar or a broken nose is a serious injury. A “soft tissue” neck or back injury can also be a serious injury. Take a look at some examples of serious injuries. Previous existing injury? We settled a previous existing neck injury for $1,000,000 and a previous existing back injury in a car accident for $750,000! A concussion is a serious injury! We obtained a $1,250,000 settlement for a concussion and a $1,000,000 trial verdict for another. Even a broken pinky finger is a serious injury! See some of our settlements & verdicts. Expect friendly personal service from us. We like being treated as important customers when we shop and we believe you should be also! Don’t try to decide if you have a serious injury. Call us right now for a free consultation at 1-800-487-8911. Personal service and great results are why FRANCKEL & PLEVY made the Law Firm 500 as the 44th fastest-growing law firm in the US! 1/3 Legal Fee Paid at the End of Your Case – See our SIMPLE FEE GUARANTEE!™ to see what we don’t charge you! No Health Insurance? We Can Arrange Medical Treatment. We only represent people HURT in an accident, never defendants. Friendly, Personal Service because we really care about you. Call anytime — days/nights/weekends with your questions! Listen to these 2 voicemails from clients who were shocked when Attorney Phil Franckel didn’t answer the phone. Why we are the only Personal Injury Dream Team™ — Attorneys Phil Franckel, Esq. and Rob Plevy, Esq. both work on every case together with another large personal injury law firm, so every client gets 2-4 lawyers with varying talents and personal injury knowledge working on their case and every client has access to speak with Partners Phil Franckel and Rob Plevy 7 days/nights. That’s why we’re the Personal Injury Dream Team™! Take a look at the services we provide you, how we obtain full value for your injuries and move your case faster. You’ll be more than satisfied with the quality of our work, attention to detail and personal service. There’s a good reason we received the Avvo Clients’ Choice Award. 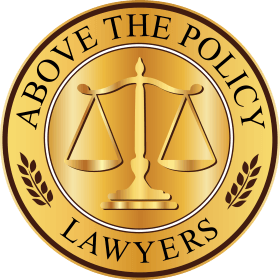 Large personal injury law firms often only take cases with both a serious injury worth at least $300,000 and a large insurance policy of $300,000 or more. We don’t define a serious injury by its value or the insurance policy. We would like to represent you no matter what size the insurance policy is. Why do we represent clients with serious injuries? So we can provide our clients with personal service! People often don’t think they have a serious injury when they actually do, so call us to find out. If you want personal service, the ability to speak with an attorney (not paralegals) when it’s convenient for you, and attorneys who will spend the time your case deserves, please call us now for a free consultation.